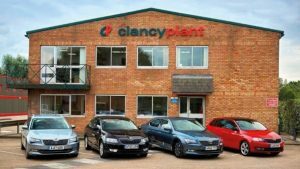 The Clancy Group Plc, through Clancy Docwra Limited, is well established as one of the leading national construction companies in the UK. It employs over 2,700 people across the UK, has offices across the UK from Livingston in Scotland, to the Isle of Wight and has a turnover of £250m. The diverse fleet migrates between several depots across the UK and various contracts as required and is made up of managers in company cars, skilled operatives in commercial vehicles, dedicated HGV drivers, and a substantial amount of grey fleet drivers, all of whom are pro-actively engaged in our Fleet Safety Management programme. The fleet covers approximately sixty million miles per year on a combination of motorway, urban and rural roads. The Group’s approach to business is set out in its 6S Vision. We are committed to delivering the highest level of service to our clients and to the continual improvement of Fleet Safety, Quality, Health, Safety and Environmental standards. The Group Board of Directors is accountable for all HSE&Q issues including Occupational Road Risk. Moreover, the joint owners and Chairmen of the Group Kevin and Dermot Clancy are personally committed to the effective delivery and continual improvement of the Group’s Fleet Safety Management profile. In terms of Fleet Safety Management & Compliance, we have a hierarchical umbrella of corporate governance and accountability ranging from a strategic level, a tactical level, and an operational level ensuring communication on key performance indicators is delivered effectively and efficiently. The Board of Directors was responsible for the creation of the Fleet Safety Management & Compliance team. In addition, Colin Knight, Head of Fleet Safety, reports directly to Board member Bernie Stack who is Director of Plant, Transport and Traffic Management. 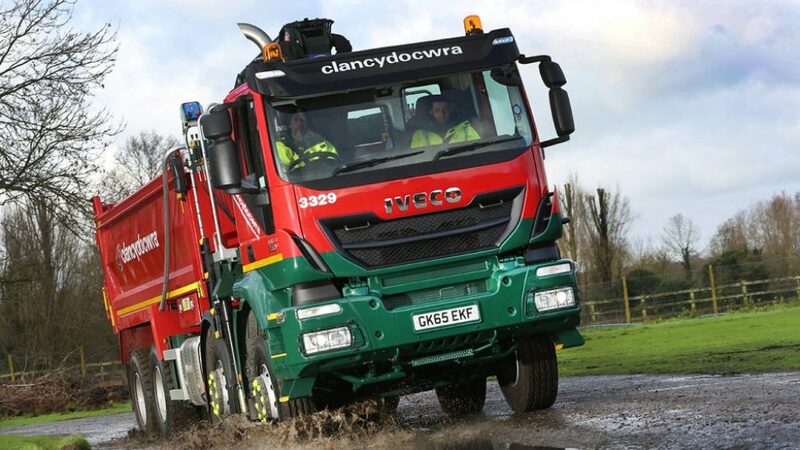 Mr Stack is fully committed to continually improving fleet safety whilst driving down operating costs across the Clancy Group. To provide a framework for our Fleet Safety Management activities, we have firmly embedded the GDE Matrix (Goals for Driver Education) and the HSE principles of the PDCA Cycle of continuous improvement into Fleet Safety Management and this is delivered throughout the group by Regional Transport and Driver Safety Managers. To that end, we aim to provide a systematic, methodical and professional approach to managing our road risk by ensuring we implement data-driven driver safety interventions. We use a third party online driver risk management system which includes an on-line driving licence check and risk assessment. We also conduct drug and alcohol screening for all new drivers as well as conducting D&A tests after road traffic collisions. We have fitted forward facing cameras in company cars and a selection of commercial vehicles. Telematics/black box technology is fitted to every company owned vehicle within the fleet. We have employed a full time Fleet Safety Data Performance Analyst, who collects, collates and distributes data from all of our systems allowing the Fleet Safety Management & Compliance team to create data driven performance improvement KPI’s and training interventions to our wider business. By using a combination of claims statistics and utilising our in-vehicle forward facing cameras we produce our own company branded data-driven video toolbox talks based on collision trends. The data is then analysed before being translated firstly into strategy and subsequently into accountability and ownership by local line managers. This provides them with the insights and skills to manage their fleet properly and understand the influence they have on the behaviour of their drivers and the general safety culture. Our data tells us that only 10-20% of our drivers fall into the critically high risk rating and we have therefore developed behavioural based coaching programmes for both drivers and their managers. The dedicated Fleet Safety Management & Compliance team support the wider business in the implementation of our fleet and driver safety policies and risk assessment activities and these are influenced by the output from Monthly Regional Fleet Safety Performance Data Dashboards. In addition the team works very closely with external stakeholders to ensure all third party fleet data is turned into performance measures. Collision data is analysed daily, and high risk groups identified. A monthly summary is generated and communicated back to the wider business, identifying drivers, vehicles and any associated costs to the business. A Key Performance Indicator for this metric is the Collision Frequency Rate. This is calculated as the percentage of drivers in the fleet that are involved in a collision in a month. For comparison, the annual figure in the example table below is the percentage of drivers in the fleet that are involved in a collision in a year, divided by 12. This is currently showing a downward trend. Our telematics service provider generates a driver score for each vehicle in the fleet which is evaluated on a monthly basis. In this instance, a lower score indicates a better driving style. The score is calculated based on the number of speeding, harsh braking, steering and acceleration events, as well as time spent idling and time and distance driven. The business has benefited significantly from our direct interventions, which have resulted in a 13% reduction of costs incurred for accident collision damage against the same period last year and a 3.2% reduction on average fuel purchased per vehicle. 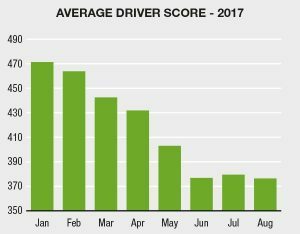 Since the New Year, we have increased communication of driver scores back to employees and across the wider business, which has driven the average score across the fleet consistently downwards, reducing by 20% since January. 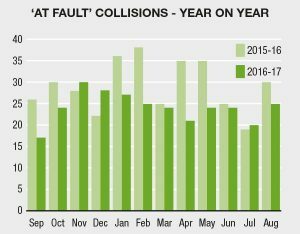 Furthermore, the number of ‘At Fault’ claims and overall claims has dropped by 20% and 15% respectively over the last 12 months. 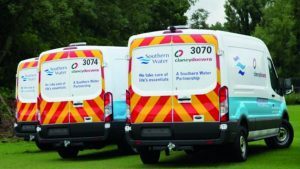 The Clancy Group was awarded the Gold Fleet Safety accolade from RoSPA which reinforces that Fleet Safety Management & Compliance is engrained into the DNA of our business. Bernie Stack Clancy Plant Director was presented with the award during a ceremony at the ExCeL, London on Tuesday, June 20, 2017. 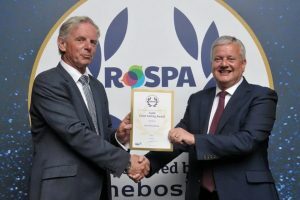 It was a double celebration for the Clancy Group at the RoSPA Awards as we also picked up a Gold Award for Health & Safety.